I couple of years ago Andrew was a student of mine in an AIARE 1 Avalanche Course. 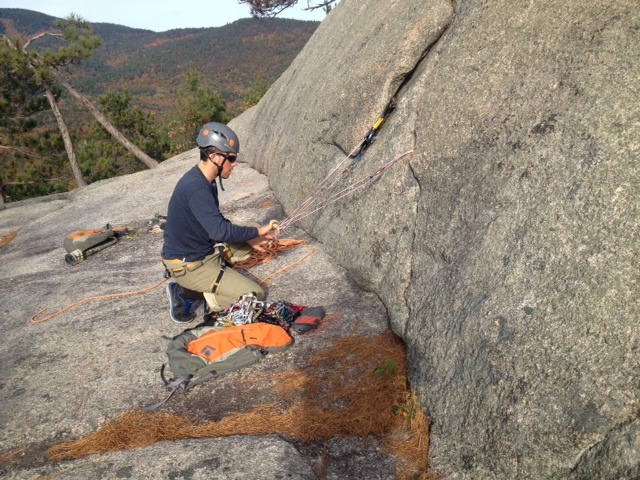 Since then he has toured quite a bit in the New York and Vermont back-country and built up a pretty good list of rock climbs from Moby Grape on Cannon to lots of sport leads at Rumney. 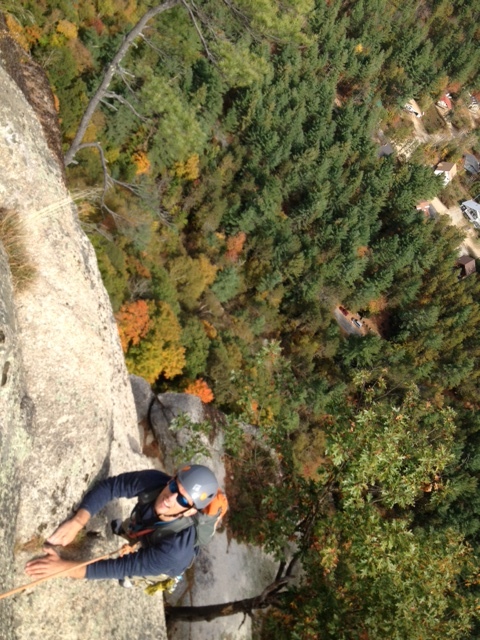 Wanting to improve his leader skills and efficiency we spent a beautiful day yesterday at Cathedral Ledge working on the finer points of multi-pitch trad climbing. Since I wanted to maximize the amount of info we could cover in this private course I drafted up a brief agenda the night before to give our day some structure. Meet at 8:30, Drive to top of Cathedral. 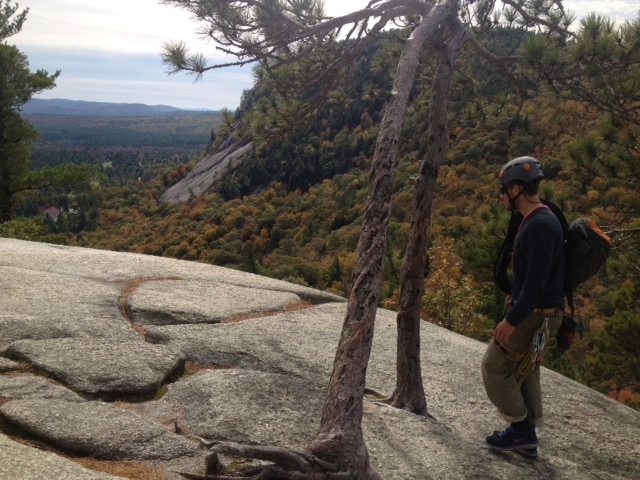 Counter-balance rappel with injured climber. Whew, that is ALOT of information for an 8 hour course but we wrapped it up right on time. I love guiding days like this when I’m not just leading someone up a climb, but sharing the tips & tricks that can take a decade to discover with a fairly competent climber. I look forward to working with Andrew again to continue to improve his skill set! If you want to spend a day like this with me there is still plenty of fair weather to get out before winter arrives! We can have a day like this well into November, so click here for info on our private courses! Wow.. I’ve only recently started climbing outdoors. 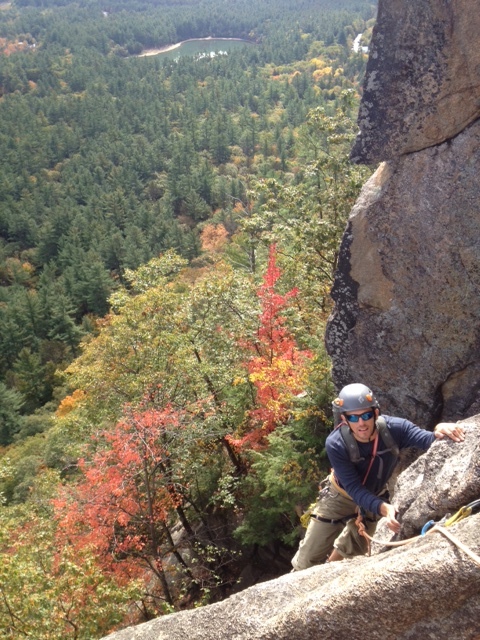 Lack of experienced climbers to tag along was what prevented me from committing to it initially. But I like what you are doing here. And if I were living south of the border, I would have loved to consider it. 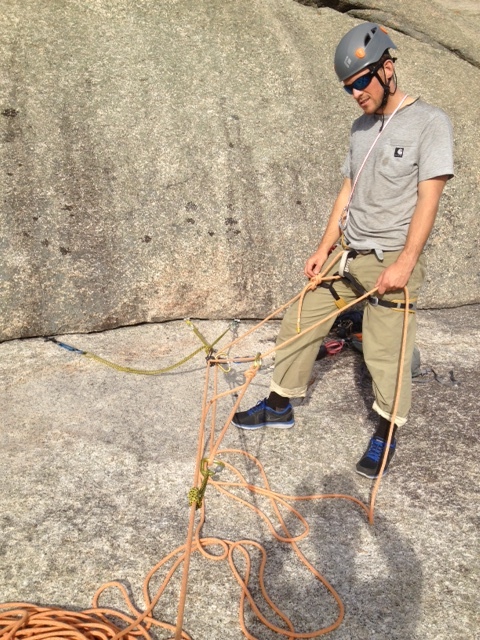 I have joined a club here in Canmore now that goes on regular trips that also imparts rock climbing courses. I think pretty much the same way as you do. I like that you share these experiences and the pics too.